Which glue to choose for gluing porcelain tiles? And why is a widely-circulated opinion of the need for white glue? 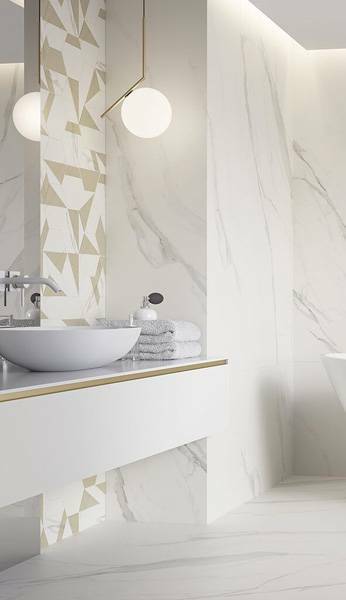 This belief resulted from the comparison of porcelain to natural stones, which – albeit similar visually – have a different structure. In order to be able to fully understand the difference, you should remember what exactly porcelain is. 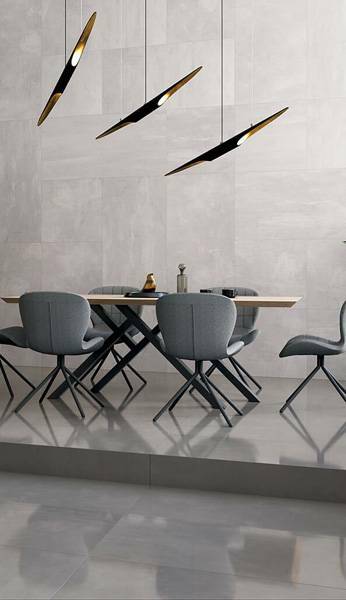 The porcelain tile is the hardest type of ceramic tile, pressed under a huge pressure of about 400 kg / cm2 and fired at a very high temperature of about 1200 °C. The need to create such a material occurred when the tiles were applied in intensively used places and exposed to temperature drops below 0 °C. These main properties of porcelain, i.e. bending strength, resistance to scratches and damage, and frost resistance, gave it the name of a tile for special tasks. 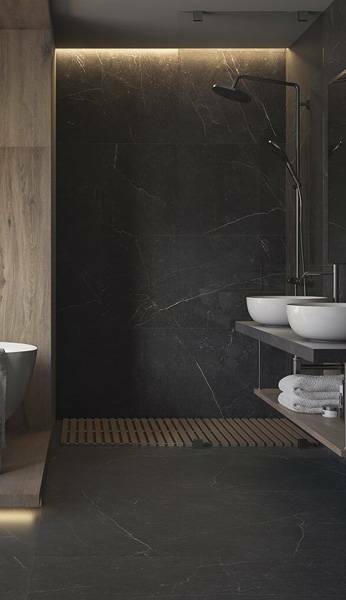 At the present time, tiles have become a much more universal cladding, and its parameters still allow it to be used in places with demanding usable conditions. Due to the very low water absorption (E ≤ 0,5%) and the sintering of the structure, the porcelain is resistant to absorption of liquids. 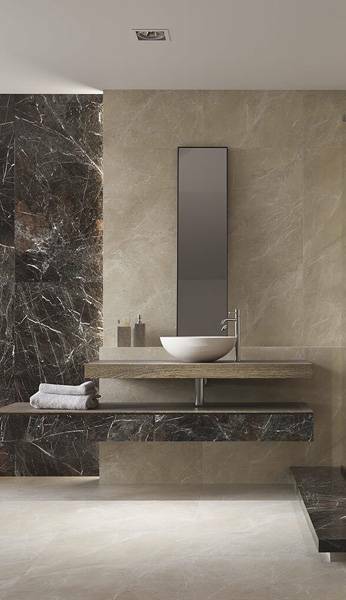 Discoloration from grey glue noticed in the case of natural stone assembly in the case of porcelain tiles do not take place – the use of white glue is therefore not a necessity.